Edward F. Moncrief, a man of diverse accomplishments, will address the Double Nickels luncheon for those 55 and Up, on November 8th. Luncheon begins at 12 noon, at the Church of the Good Shepherd, 301 Corral De Tierra Rd, off Hwy 68 between Monterey and Salinas. 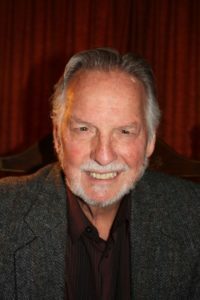 Mr. Moncrief has been a Franciscan cleric, the founding executive director of the Community Housing Improvement Systems and Planning Association (CHISPA) in Monterey county and has now, in retirement, engaged in writing. Most recently he has published the book “Raising the Blackbirds,” which will be the focus of his Double Nickels talk. The book addresses the life of Sixto Torres from his childhood in Mexico to his work in the Salinas fields and efforts to improve the lives of farm workers and their families.